Designers Republic was when I was a student an agency that defied all corporate constrains and produced work that was different and talked about. Possibly it was loved by designers more than by its clients! Yes, over the years the work has been critised for having too much of a house style, but the fondness I had for them all those years ago still remains today. Sadly Designer Republic has closed its doors. Due to various factors they could not continue trading. 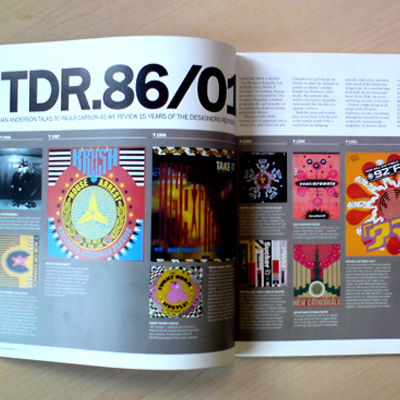 Creative Review remembers Designers Republic have a look. Ian Anderson its founder comments on the Creative Review blog – the most honest, heartfelt article about the loss of a business I have read for a long time.